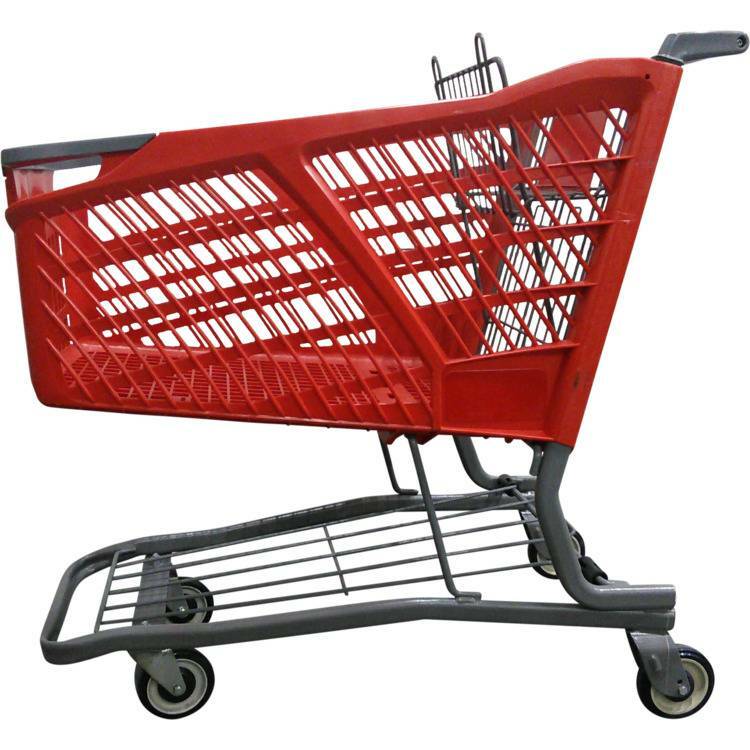 This is the Technibilt Renaissance plastic shopping cart. It is available in level 1 with ALL NEW WHEELS or level 2. 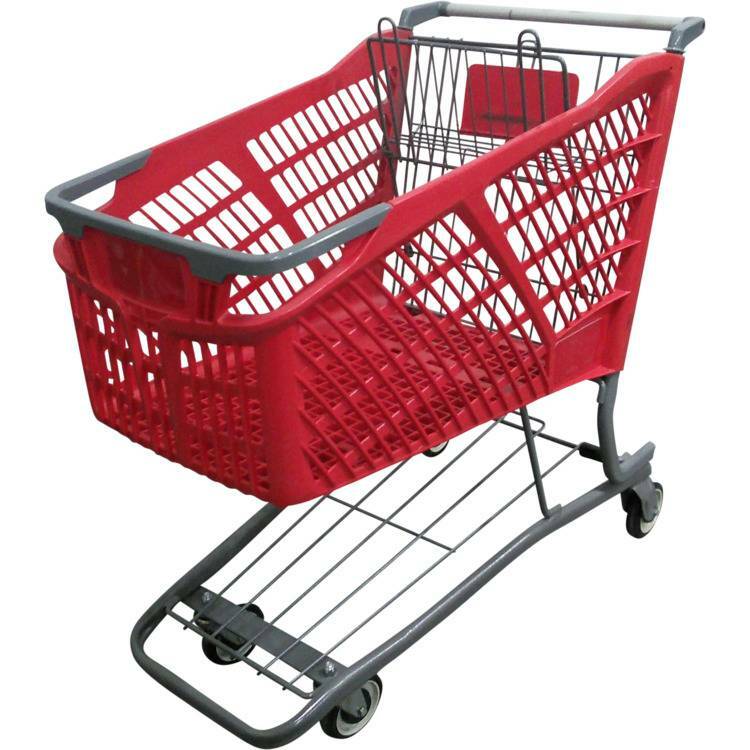 This shopping cart was manufactured by Technibilt Products but we have it in our mid-west warehouse. It has been cleaned then painted with our state of the art spray technology. 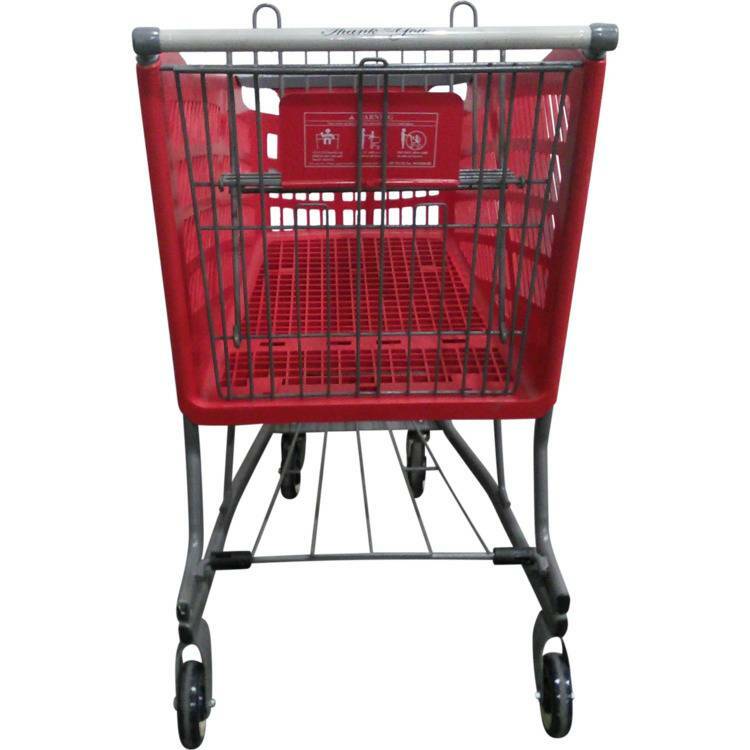 This cart is in Great condition and features modern styling and caster lifts to reduce wear and tear when bringing the carts back from the parking lot. Level 1 includes all new wheels, level 2 will have all working wheels. 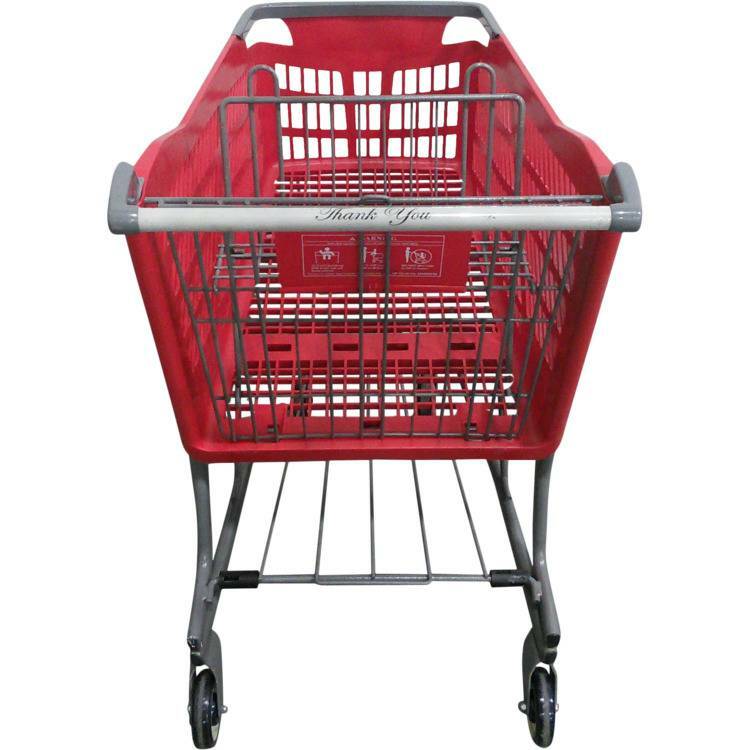 This cart is only available in Red with the handle you see in the picture. 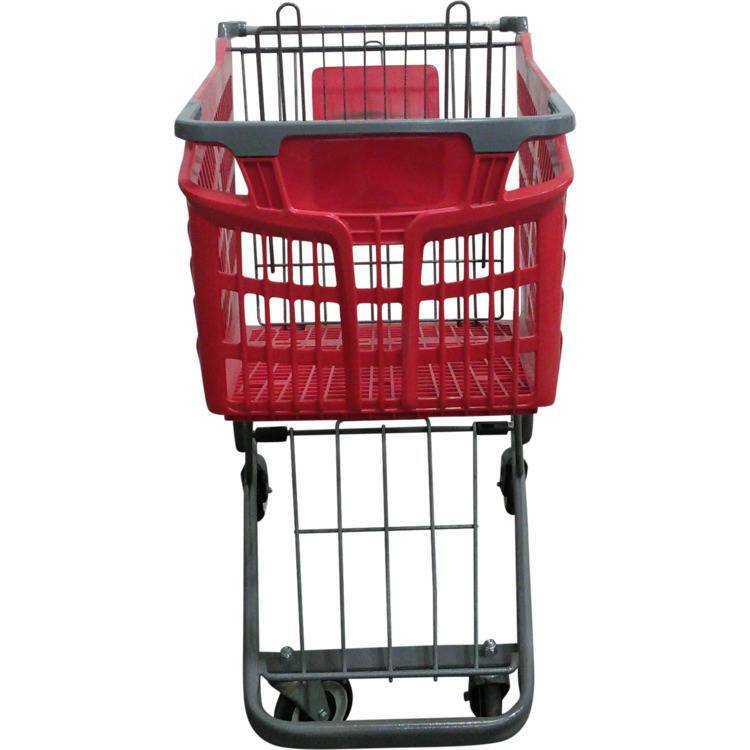 Width at nose outside 18.5"
Depth of basket at handle 21.75"
Depth of basket at nose 14.5"